This undated photo shows Sinbad's restaurant on Pier 2 in San Francisco. SAN FRANCISCO (KGO) -- Owners of a long-time San Francisco restaurant went to court Monday to fight to stay open. Sinbad's Pier 2 Restaurant is in a dispute with port officials over the Pier 2 property on the Embarcadero. The port wants to build a new ferry terminal. Restaurant owners filed a lawsuit for a stay that would let them stay open until next year when construction is expected to begin. 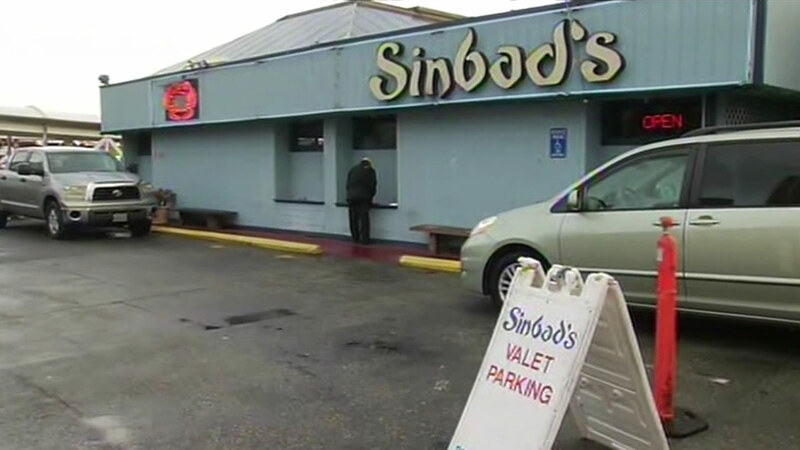 The port gets fined every day Sinbad's stays open. Starting Wednesday, that fine goes up to $2,000 a day. Taxpayers will end up paying the bill.